David F. Cerda had made it an annual tradition to attend Chicago Cubs games around his birthday in May. The 20-year-old Cubs fan suffers from a severe type of muscular dystrophy, and has been confined to a wheelchair for half his life. That means Cerda requires seating in specified wheelchair-accessible areas in the Wrigley Field bleachers. But after the team completed a massive renovation project at the stadium, those seats were torn down and haven’t been replaced. Instead, wheelchair-bound fans are forced to sit either well behind home plate or in a center field area behind thick, dark glass. That’s according to a lawsuit Cerda filed last month against the Chicago Cubs Baseball Club, LLC, which claims these changes violate the Americans with Disabilities Act. “In the right field bleachers, there used to be a wheelchair-designated area, which (he) enjoyed with others,” said David A. Cerda, the plaintiff’s father and acting legal representation in the case. 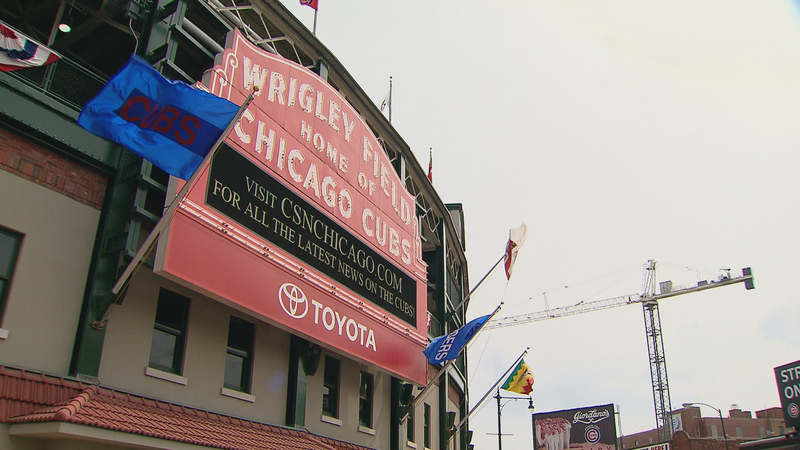 The Cubs’ $750 million stadium renovation project began in 2014. Cerda’s suit claims that as part of this, the Cubs also opted to add a bar area in the left field bleachers rather than constructing any wheelchair seating there. And after lower box seats were rebuilt, the suit states a row of wheelchair seats behind home plate was moved back several rows farther from the field of play. The Cubs are instead adding a new 600-seat “American Airlines 1914 Club” that will be located behind home plate. It is expected to be open for the 2018 season. David A. Cerda added the stadium may not have enough ADA-compliant seats, saying the center field area – which he likened to watching a game on “a dark TV in a cave” – doesn’t fit the bill. The suit seeks to require the Cubs to add wheelchair seating both in the left and right field bleachers, the lower box seats and add front row wheelchair seating behind home plate. A Cubs spokesman referred questions regarding the lawsuit to the team’s vice president of communications, who did not respond to a request for comment Wednesday. The elder Cerda said the team has not yet responded to his suit. While he believes a hearing will be scheduled before a federal judge in Chicago sometime this month, he is not expecting a quick resolution to the case. June 7: Recent terror attacks in Manchester and London have cities with high-profile public targets eyeing their security for potential vulnerabilities. April 10: The Cubs unveil the new Park at Wrigley as the team plays at home for the first time as World Series Champs. April 4, 2016: Crews are working around the clock to prepare Wrigley Field for next Monday's home opener. What will be ready to go, and what will continue to be under construction through the season?